BHR4All announces “Play for a Cause” Football Tournament in Support of Peace One Day to celebrate Unity in Diversity in collaboration with Winners Football Center. 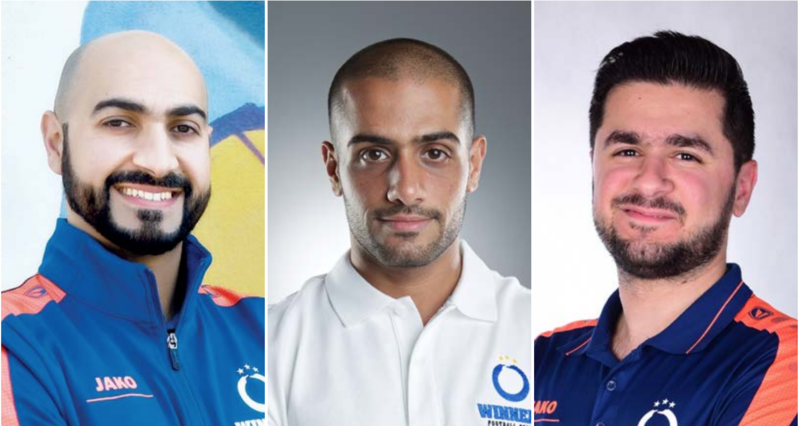 Winners Football Center is a dream come true for two young entrepreneurs, Fawaz Albinmohammed and Ebrahim AlSada, who always had a passion for football. With the aim to create “The best Football Center” in Bahrain, they started working on the concept of Winners Football Center, a place dedicated to all aspects of football, based in Bahrain with a vision to expand in the region. Focused on quality of the facility itself and its services, the concept of Winners became a reality. Winners is a place, which is fully equipped with multi-use facilities with all necessities and much more. It is a place to gather the entire family and friends, and enjoy safe and fun activities. BHR4All in collaboration with Winners Football Center will be hosting the “Play for a Cause” football tournament in support of Peace One Day for men, ladies and children U-12’s (2006 – 2007). The tournament will start on 30th August and run all the way to the 29th of September. The winners in each of the men and ladies categories will walk away with a cash prize of $2000 while the winners of the children’s tournament have the chance to win some exciting prizes. The men and ladies will be played on an eight a side pitch with each team having a maximum of 15 players including the bench. The tournament will start with the groups and then the best teams in each group will then qualify onto the final rounds. The final of all categories will be held on the 29th of September along with a huge event to celebrate Peace One Day. There will also be matches for people with different abilities, which will be announced soon. “We are delighted to have the opportunity to work with the team at Winners for this important tournament in support of Peace One day. Winners will manage the tournament and we look forward to exciting friendly matches in September. BHR4All has been listed as partner for peace and through this initiative we have an opportunity to reach a wider audience to showcase our local talent as well highlight unity in diversity in Bahrain. In 2016 approximately 2.2 billion people were exposed to Peace Day messages through activities ranging from radio broadcasts to social media campaigns and across the world, an estimated 940 million people were aware of Peace Day.” Nivedita Dhadphale, founder of Bahrain for All mentioned.